The scalloped arch that graces the top of this medicine cabinet adds a decorative accent to this classically styled piece. 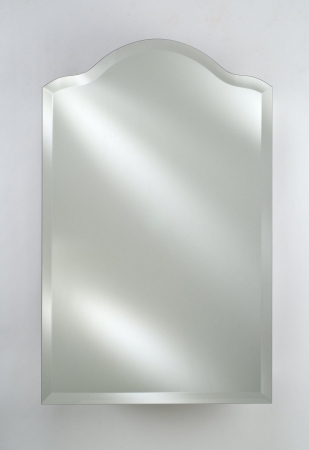 The beveled edge of the mirror enhances the depth of the reflective surface. The interior provides ample space for storage and organization in the bathroom.